Pfenninger, Claxton, & Estelle Insurance Group is committed to understanding and proactively addressing our customer’s risk management and insurance needs in order to protect the long-term financial well-being of our clients and to increase their bottom line. 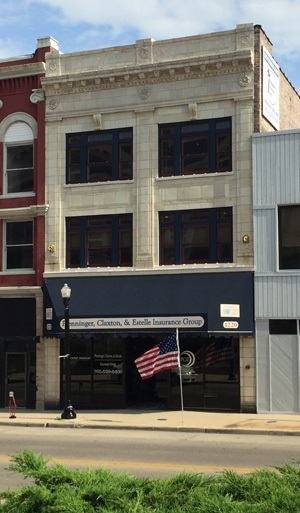 Pfenninger, Claxton, & Estelle Insurance Group is a full service insurance agency that has been servicing its clients in Central Indiana since 1902. Together with Keystone Insurers Group we can provide extensive experience, expertise, and other agency resources not available to most agencies. Keystone Insurers Group is the 4th largest independent agency system in the United States. It is an exclusive partnership with over 20 of the best agencies in Indiana and over 150 nationwide. Keystone’s motto of “Bringing the Best Together” is also their practical operations philosophy, as only the best agencies in the United States are accepted into the organization. In addition to being able to provide unparalleled customer service, the biggest advantage Pfenninger, Claxton, & Estelle Insurance Group brings to the table is the ability to do business with a multitude of different insurance companies. For the consumer, this means we can provide access to the products and services of the best insurance companies in the country, all in one office. At Pfenninger, Claxton, & Estelle Insurance Group, you don’t have to shop around, comparing prices and products of multiple companies because we do all of the work for you, automatically and conveniently matching you up with the best insurance product available for your needs. We would love to talk to you about your insurance. Please contact us anytime to discuss how we can best help you!